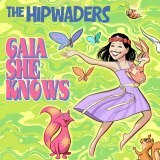 Another solid single from The Hipwaders‘ Year Round Sounds, “Gaia She Knows,” is a breezy tune encouraging conscious, green living and protection of Mother Earth. Originally released as a single, this track was inspired by a six-year-old named Gaia (named after the Earth Goddess). Gaia approached lead singer Tito Uquillas after a show, asking if The Hipwaders had any songs about saving the planet or avoiding the use of pesticides. Intrigued by the irony of it all, Uquillas was moved to create a song in honor of his earth-conscious fan. I originally premiered this video for “Gaia She Knows” in 2013, and I am happy to kick off this week (leading up to Earth Day and Arbor Day) by featuring it again. Thanks to the talent of Janet Davies (design) and Planet Sunday (animation), this inspiring story is brought to life. It’s a great song to start a conversation about the many ways we can think locally and act globally. “Gaia She Knows” is available for download as and purchase through Amazon and iTunes. What is there to do when it just keeps snowing? Write a song about Spring, of course! Even though I’ve been living on the West Coast for the past few years, I am still not completely adjusted to sunny, warm winters (though I’m not complaining either). When I hear from friends and family on the other coast that it is snowing AGAIN, I feel as though I am on another planet. As a former snow bunny, I can sympathize, though I do miss the beauty of the falling snow and monster-sized snowflakes. Karen Kalafatas of Karen K & the Jitterbugs has a different take on the allure of a freshly painted powedery landscape, especially after being stuck inside for the last 4 months. But her spirits are up and her creative juices are flowing! Today’s audio premiere, “Spring Day,” is an anti-snow, pro-sun anthem eager to welcome Spring and hang outside with a cool glass of ANYTHING! 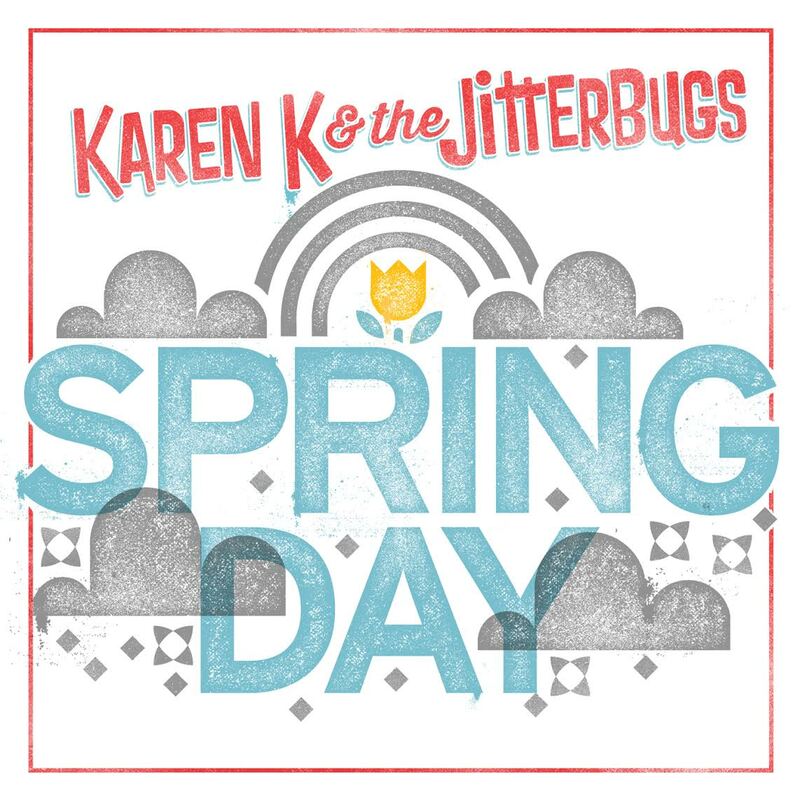 “Spring Day” is available at iTunes, CDBaby and Amazon. Karen K (aka Karen Kalafatas) is a writer and performer along with her band Karen K & the Jitterbugs. 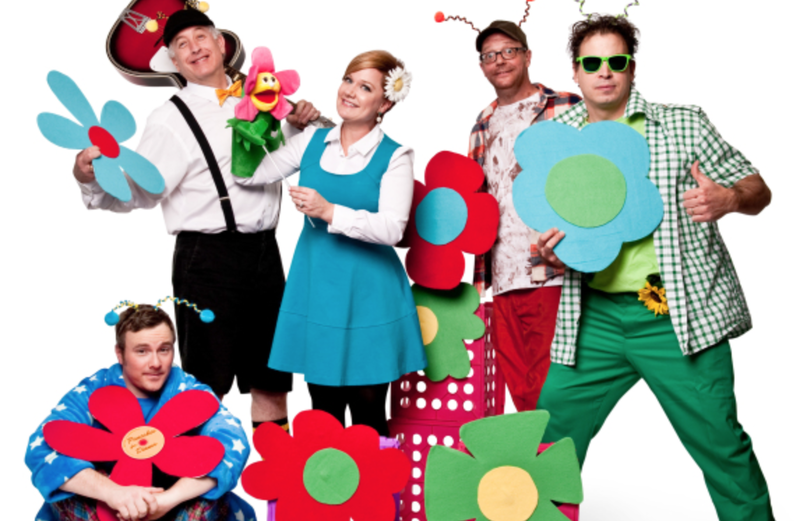 A winner of a Parents Choice Award and “Best Kid Vid of 2014” for her YouTube Smash hit (I Woke Up in a) Fire Truck, Karen and her Jitterbugs tour the country performing her original songs and delivering a rockin’, energized, theatrical show to kids ages zero to one-hundred-and-three. They’ve been seen on CBS-New York and in the Boston Globe, Boston.com, the New York Times and New York Magazine. Karen is also the founder and producer of Kids Really Rock family music festival at the Lawn on D in Boston.